Christopher Peiffer completed his B.F.A. in photography at Ohio University before moving to Chicago in 2005 to pursue a degree in culinary arts. 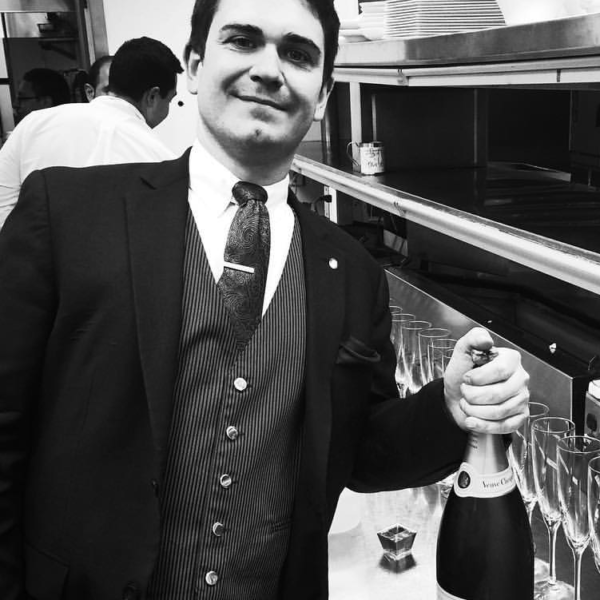 Upon completing his degree in 2007 Chris began to pursue his career in the hospitality industry. As Chef de Cuisine at Frasca Wine Bar Chris found a passion for wine. In 2009 pursuing this passion he worked to become the beverage trainer at Japonais in Chicago. In 2012, he was promoted to Assistant General Manager and Wine Director of Japonais by Morimoto, here utilizing his experience he fostered a culture of service that left guests with even their unexpressed wishes. In 2015 Japonais by Morimoto was awarded the Wine Spectator award of excellence for their outstanding wine list. In 2015 Christopher joined Parker Restaurant Group as the General Manager of The Hampton Social & The Bassment. Calling upon his experience, Christopher worked with staff to create beverage program that was unique and progressive. In 2017 he joined the team as the newest member of Rootstock Wine Company. The opportunity has given him the chance to continue to grow as professional in the beverage industry while staying connected to his roots in restaurants.